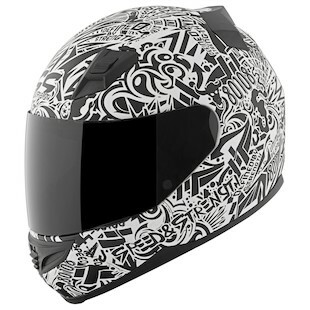 New for Spring 2015 Speed and Strength is pushing full steam ahead with the new launch of the SS1200 helmet. This bad boy is both ECE and DOT certified so you know that your noggin is properly protected. Speed and Strength is staying true to their roots by keeping all the fancy shmancy gimmicky stuff out of the helmet and helping the rider stay laser-sharp and focused while keeping the throttle wide-open and seeking the thrill of speed. 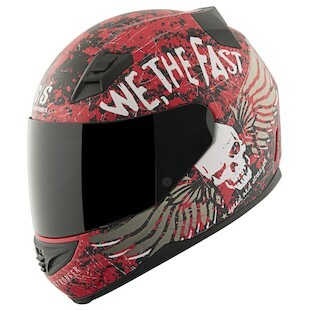 The SS1200 comes in three hot graphics for this season. If you want to stand out in the midst of the countless boring motorcycle pseudo-riders you need to look no further than the Speed and Strength SS1200 We The Fast Helmet. This puppy looks like it survived a nuclear apocalypse and was painted with radioactive orange blood of apocalyptic cannibals you slaughtered. It just screams “I have been through hell and back” and there ain’t nobody stopping me in my tracks." 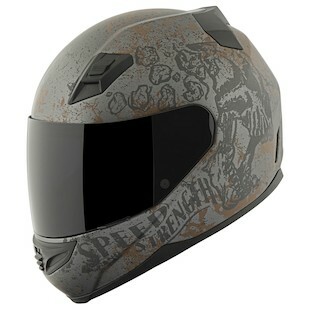 If you like to keep it on the down low and embrace the soothing comfort of the shadows you definitely need to check out the Speed and Strength SS1200 United by Speed Helmet. This graphic is perfect for those riders who are true shadow speed demons terrorizing the gloomy city streets by night. The unique artwork of the graphic just screams that the rider is “Fast as a Shark” as Udo Dirkschneider would sing in his speed metal hymn. If you need a graphic to match your custom built street fighting beast of a machine, the Speed and Strength SS1200 Rust and Redemption Helmet is the answer to your wolf howl. It looks like the helmet survived oil spills and blood gushes during stuntin’ shenanigans while out on the town. When you are wearing this devil of a graphic people will know that you have earned your share of guts and glory. Speed and Strength helmets are not for everybody. They are made for the thrill seekers and dare devils. You know who you are.